SWLM (trapezoidal screw) is suitable for low speed and low frequency. 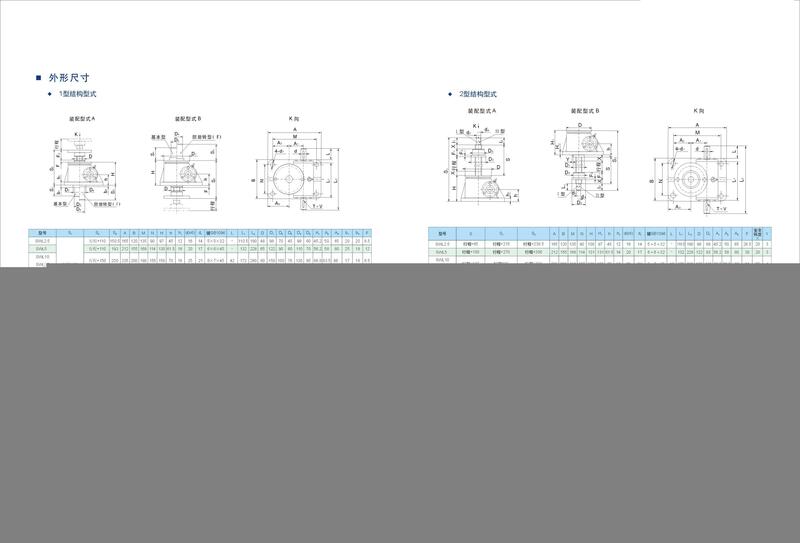 Main components: Precision trapezoid screw pair and high precision worm-gears pair. Economical: Compact design ,easy operation, convenient maintenance. 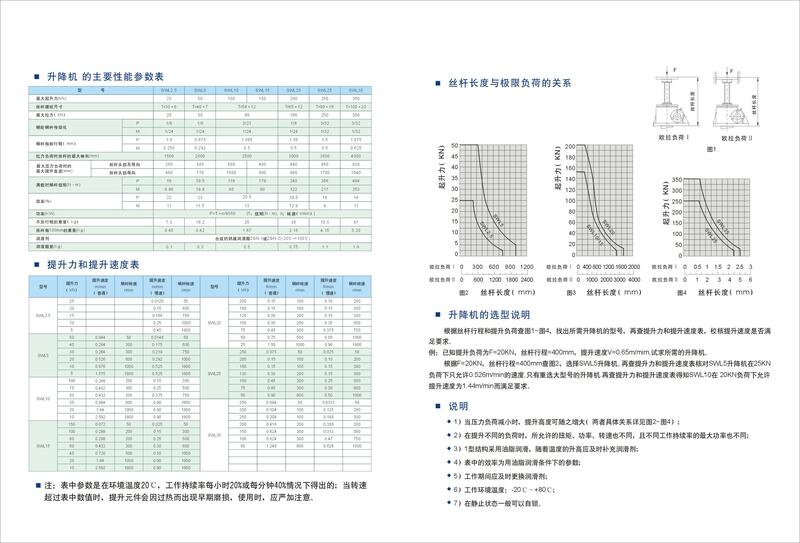 Low speed, low frequency:Be suitable for heavy load, low speed, low service frequency. 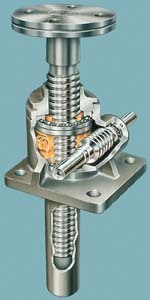 Self-lock: Trapezoid screw has self-lock function, it can hold up load without braking device when screw stops traveling. Note:Braking device equipped for self-lock will be of malfunction accidentally when large jolt & impact load occur. SWLB (General ball screw) is suitable for high speed, high frequency and excellent performance.Main components: Precision ball screw pair and high precision worm-gears pair. 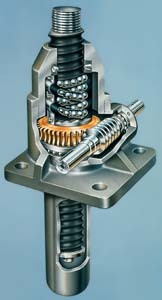 High efficiency: Rolling friction improve efficiency greatly, only a little drive power can generate great thrust force. High speed:Rolling friction speed up travel of screw easily. Lifetime longer: High precision ball screw can make SWLB's lifetime longer by 3 times comparing with SWLM.